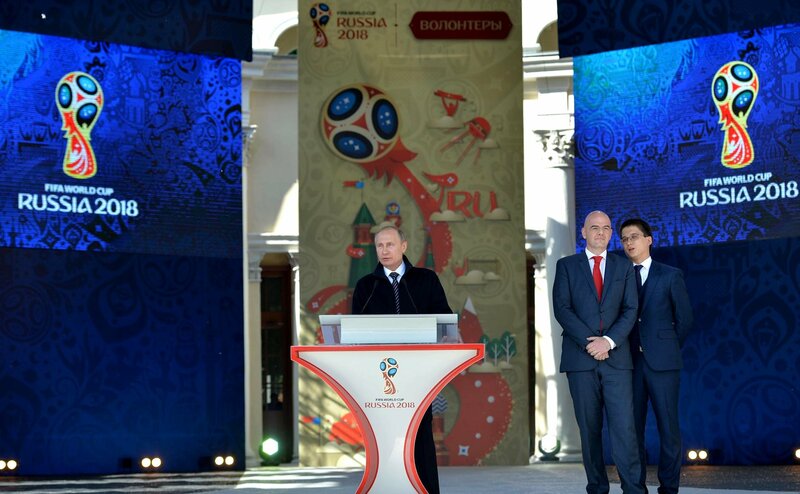 On June 1, Russia launched the volunteer program for the 2018 FIFA world cup. The president of the International Federation of Association Football (FIFA), Gianni Infantino, launched Russia's 2018 FIFA world cup volunteer program in Moscow on June 1. "The launch of the volunteer program is an important milestone in the run-up to the 2018 world cup. We are moving from infrastructure building to operational activity. Now our job of faceless planning is beginning to acquire its own face, precisely your face because you personify the 2018 world cup," Infantino said at the ceremony. "I thank all of you with from the bottom of my heart. I can promise all the 15,000 official volunteers and millions of unofficial volunteers who followed their heart that it will be an unforgettable event. I promise to the whole world that thanks to the Russian people in 2018 the world will see the best world football cup," Infantino added. Foreigners who will come to Russia in 2018 will get their first impression from this country after speaking to volunteers, Infantino said. "In 2018, you will all be ambassadors of Russia, it will be your faces that foreign fans will see first when they set foot on Russian soil. They will see your smile, if they need help. I am certain that you will represent the best of Russia. The world will see a welcoming, friendly and open Russia. The launch of the volunteer program is the first step in this direction," Infantino said. The Swiss man said that he has learnt a few phrases in Russian: "Ya lublu football" (I love football), "Ya lublu Rossiyu" (I love Russia). On June 1, Russia launched the volunteer program for the 2018 FIFA world cup. The program aims to hire around 5,500 volunteers for conducting the FIFA Confederations Cup in 2017 and another 15,000 volunteers will take part in organizing Russia's first ever world football cup. Volunteers' registration will be open until the end of 2016. This work will involve 15 volunteer centers in the eleven host cities. Read more: How did the 2018 FIFA World Cup become cheaper?